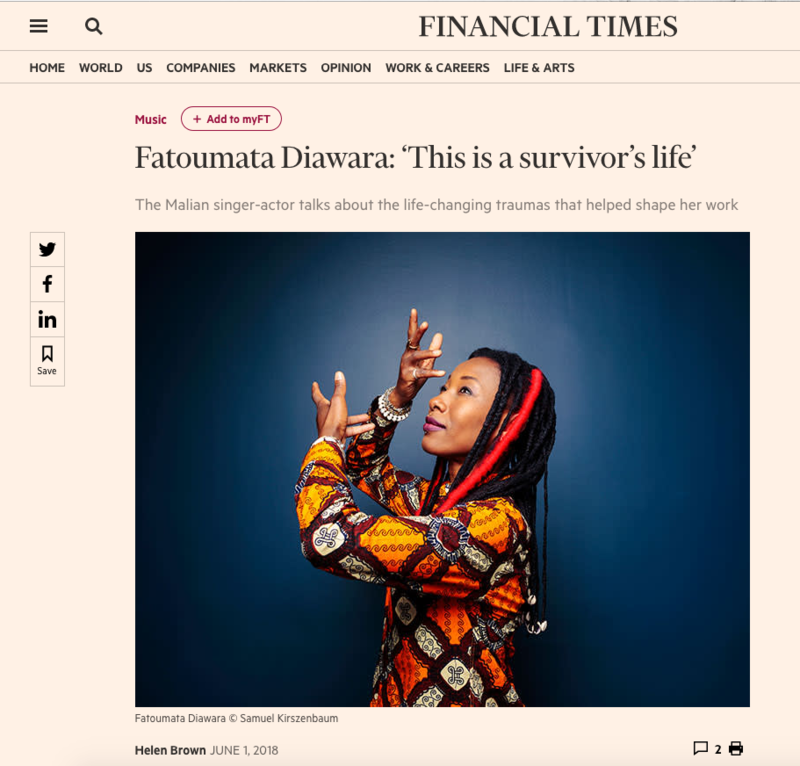 In a world of 7bn people there are 1bn immigrants.” This quiet statistic gives way to a storm of emotion in the video for Fatoumata Diawara’s arresting new single, “Nterini”. As the numbers sit in a crisp white font over windblown terrain, the majestic Diawara soon emerges, robed in rich crimson and gold, to tell the story of a young man leaving his home in Africa. The deep yearning of her melody reaches out across a continent, the gravel in her voice echoes that scuffing of the weary refugees’ trainers. Read full article on FT.com.